The name says it all - The Pro First 210 Letterbox impresses with its elegantly curved door. It's brushed stainless steel body adds the finishing touch to your homes entrance. Despite all the elegant shapes, it is still easy to use and it's spacious body provides enough space for daily mail. The material required for assembly is found in your delivery. 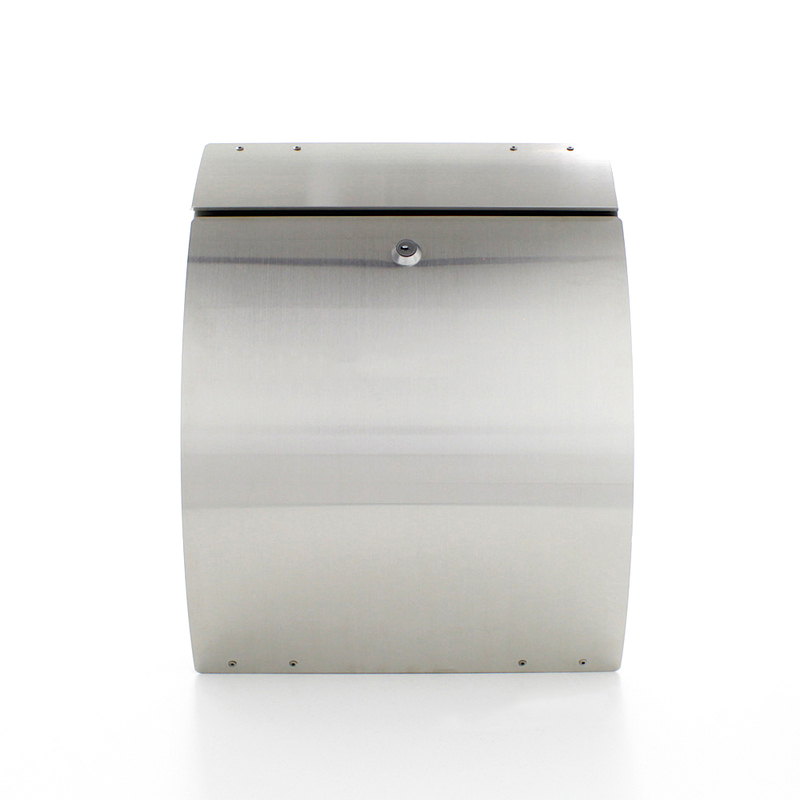 The Pro First 210 Mailbox is made from high quality Stainless Steel and comes with a curved body offering a very unique style. So that you can easily assemble your mailbox, the right fixings are included in your delivery.